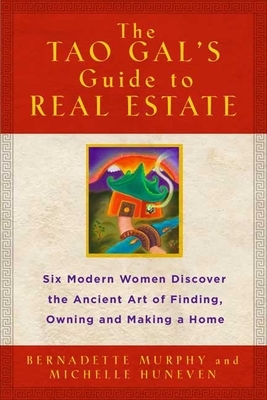 At last, a readable, entertaining, and practical real estate guide the perfect companion for women intent on buying a home. Once a week, six women living in Los Angeles meet to read from the "Tao te Ching" and reflect on their lives. One subject arises over and over: the dream of owning a home. One by one they take on the real estate market. They discover, among themselves, great reservoirs of expertise and experience that keep them sane and laughing along the way. Now, the Tao Girls want to share that expertise and experience with women who find themselves similarly confused, frustrated, or disappointed. "The Tao Girl's Guide to Real Estate "offers a way to keep your head through it all, to eliminate that sense of helplessness, overwhelming tension, and emotional fatigue so often a part of finding a home. In telling their lively and often amusing personal stories, the Tao Girls also deliver a terrific dose of practical advice for buying any house from the smallest condo to a suburban family dream house. Michelle Huneven is an award-winning fiction writer whose novel, Jamesland, was shortlisted for the Los Angeles Times Book Award for Fiction, and whose previous novel, Round Rock, was named a New York Times Notable Book and a Los Angeles Times Best Book of the Year.Bernadette Murphy is a literary critic for the Los Angeles Times, and has written for Newsday, Ms., the San Francisco Chronicle, and LA Weekly, among others. She is the author of the bestselling Zen and the Art of Knitting.